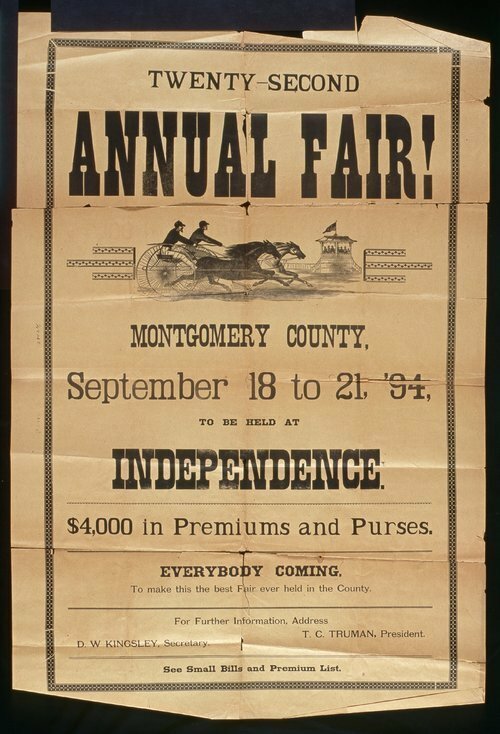 This poster announces the twenty-second annual Montgomery County fair in Independence, Kansas. Highlights include $4,000 in premiums. An illustration of a sulky race is included.